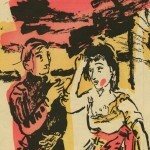 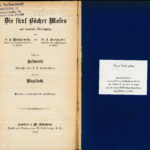 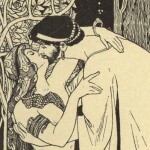 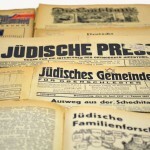 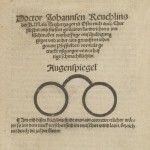 Although the Leo Baeck Institute’s (LBI) Library of 80,000 books and 1,600 periodicals makes it the most comprehensive repository for German-Jewish history and culture, there are several unique collections that deserve distinguished mention. 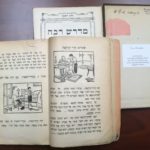 These collections are one-of-a-kind, rare, or exemplify the special nature of the Leo Baeck Institute. 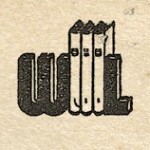 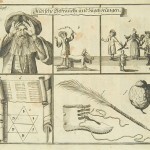 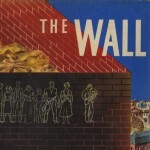 Some of the collections are digitized, while others can be accessed in the reading room at the Center for Jewish History. 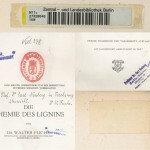 On November 27, 2015 representatives of the State and University Library Hamburg transferred a book that was previously owned by Felix Halberstadt to the Leo Baeck Institute New York, as part of their efforts to restitute books that were looted during the Third Reich. 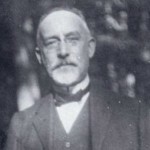 Felix Halberstadt (1877-1942) was a sales agent for textiles in Hamburg….